Get the power of Social SEO today, with our latest Deal of the Week! With more than a billion users between them, Facebook. Google Plus and Twitter are now essential for any company doing business on the Internet today. Having social media buttons on your homepage accomplishes two very important tasks. First, you’re making it easy for the consumer to find your social media pages, so they can begin to connect with you in a meaningful way on their favorite platforms. Second, you’re letting Google itself see that you have social media, something this powerful search engine will read as the vital “fresh content” critical for your organic rankings and successful SEO optimization. The Captain is all about engaging your potential customer with interesting content, asking questions, listening-and responding- to their answers. Most of us are on Facebook now, whether looking at pictures of our former college roommate’s third grade twins playing soccer or to promote our own companies. Twitter has now entered the national landscape to the point that everyone’s grandma uses the word “tweet” to mean more than just the sound from their canary. And yet, how much do you understand about the nuances between social media platforms, and how they relate to your business? Do you know the differences between the typical Tumblr-er and a LinkedIn user? Is the person most likely to utilize your business a night owl reading the Facebook newsfeed, or at work early in the morning and one of the 40% of Twitterers who prefer reading tweets to posting their own? Get Captain Marketing to run your SMO programs and you can go back to reading about your former college roommate’s soccer star children in peace, instead staying up nights worrying about the vagaries of social media. We have the expertise you need to get meaningful results from your social media campaign, bringing you solid leads and engaged site visitors rather than just pointless “likes” or useless postings. The second part of successful internet branding is of course, capturing your traffic. This means turning your shadowy site visitors into living, breathing POTENTIAL CUSTOMERS! How do you do that? According to the Captain, you can pull off this spectacular transformation by offering something meaningful to the site visitor in exchange for their contact information, whether that is just their email or their full address. 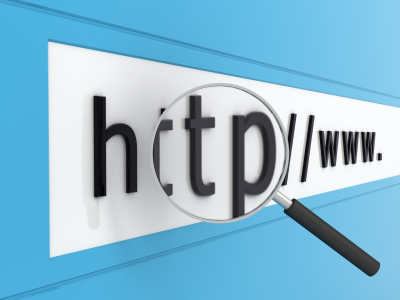 Whether you offer a free price quote for registering, a unique email list someone has to sign up for to receive, or even an informational video upon request, giving those who come to your site something valuable in exchange for their time and effort builds your lead list and cuts down on the anonymous and thus pesky looky loos. The Captain can help with a clean, well-written button incorporated onto your website homepage that’s aimed at exactly that. Ask for help! Captain Marketing wants you to know that he’s also a very social guy as well. Clad in a tuxedo, wandering around the endless cocktail parties of social media, he’s the dashing superhero you need to get the word out about your business effectively on Facebook and Twitter, with useful postings that encourage interaction with consumers. Rather than wasting time on garnering you pointless likes or huge numbers of useless followers, the Captain is all about engaging your potential customer with interesting content, asking questions, listening-and responding- to their answers. After all, the Captain knows that only by getting people to share and discuss can you truly gain value through your efforts on social media platforms. Don’t be fooled by all the hype: using social media to build targeted traffic doesn’t just happen with establishing a Facebook page. 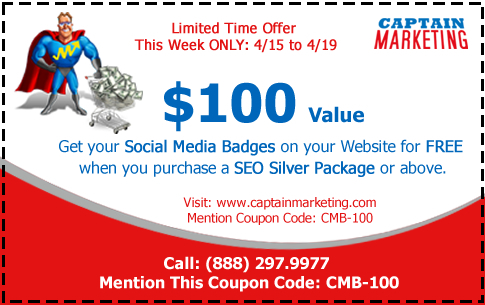 Get the experts at Captain Marketing to help you utilize your resources effectively for the most productive results.